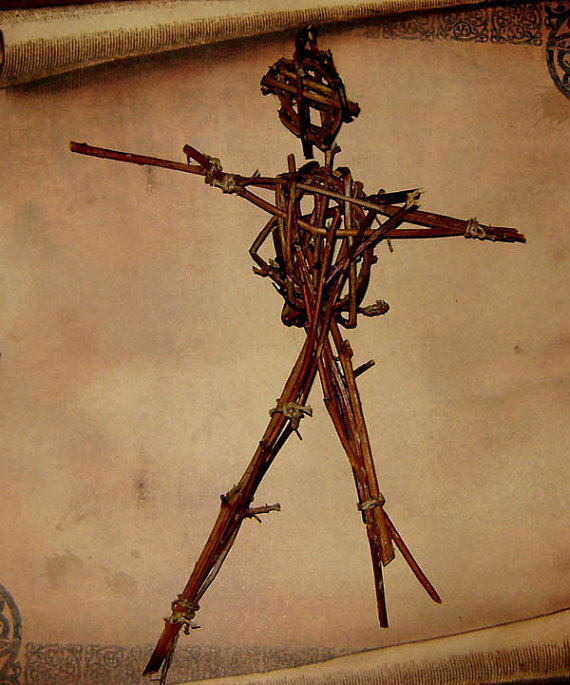 This poppet is made with blackberry stems, which in folklore are very protective. The body is made like a cage so that you can insert some hair or nail clippings and name paper inside, so that it represents the person who you wish to be protected. The stems are tied with natural hemp rope. This doll is approximately 10 1/2" in height from the top of the head to the longest foot. Most of the thorns have been removed for easier handling, but be careful while handling, because there may still be some thorns remaining. This poppet is made of self dryng clay. 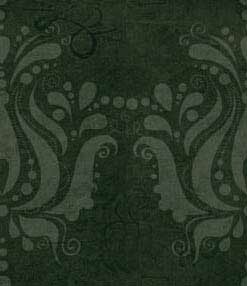 It contains a hole in it's back to place personal concerns and/or herbs of protection. On the front of this effigy is a seal of protection painted in glow in the dark blue paint, which is nearly invisible in light. 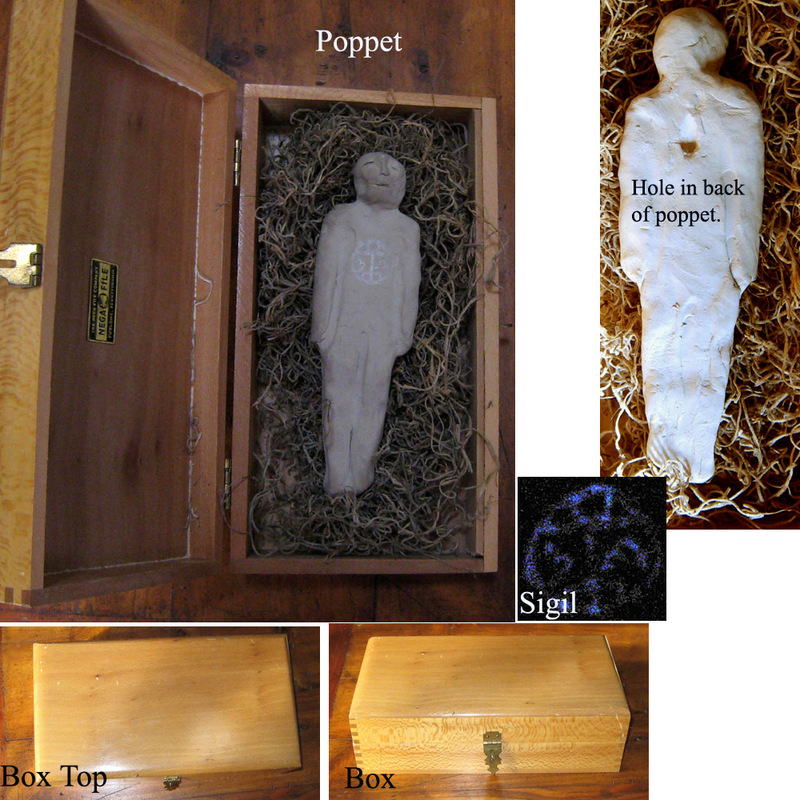 This type of poppet is meant to be kept out of sight, so it comes with it's own "coffin" box to hide in. The box is lined with Spanish moss to protect the poppet, since clay can be fragile. The box is vintage, and does have some nicks and scratches on it. Click on View Large Image to see front, back, glowing seal, and box.